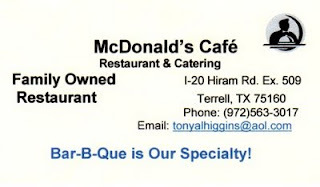 I have been passing this place on I-20 for some time on my trips out to Lake Fork and with a billboard declaring "Bar-B-Que is our Specialty" it was only a matter of time before I had to stop. The appearance of a smoke shack next to the cafe added to my interest. Well today was the day and I doubt I will need to do so again. I was seated by a little lady who was obviously not from East Texas. I'm guessing eastern Europe or Russia, based on the accent. 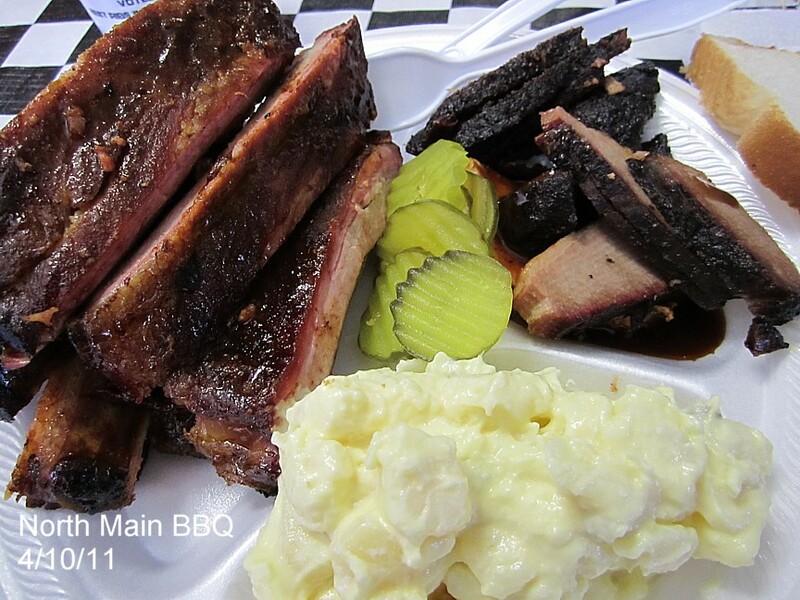 On checking the menu I found no way to combine ribs and brisket on a combo plate, which is a little strange. I enquired about the possibility of getting some ribs and was told I'd have to order a rack. I declined and went with their combo plate which included brisket, ham, and sausage. 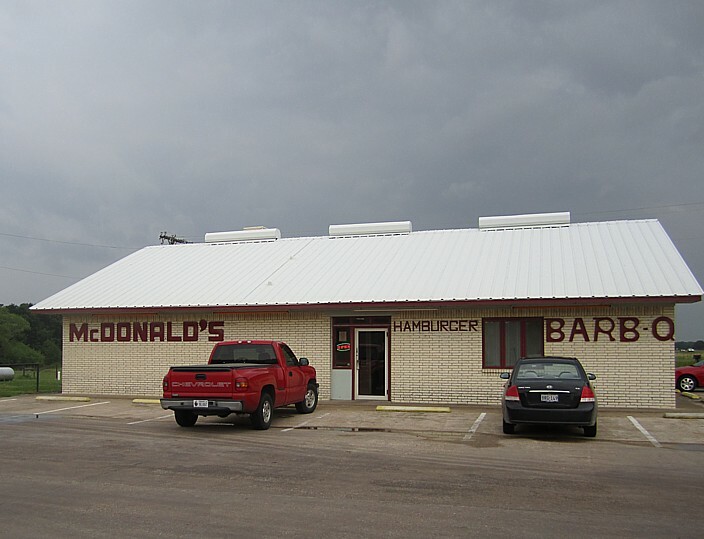 As I was the only one in the place, it was not hard to hear the ominous sound of a sizzling grill after my order went in. 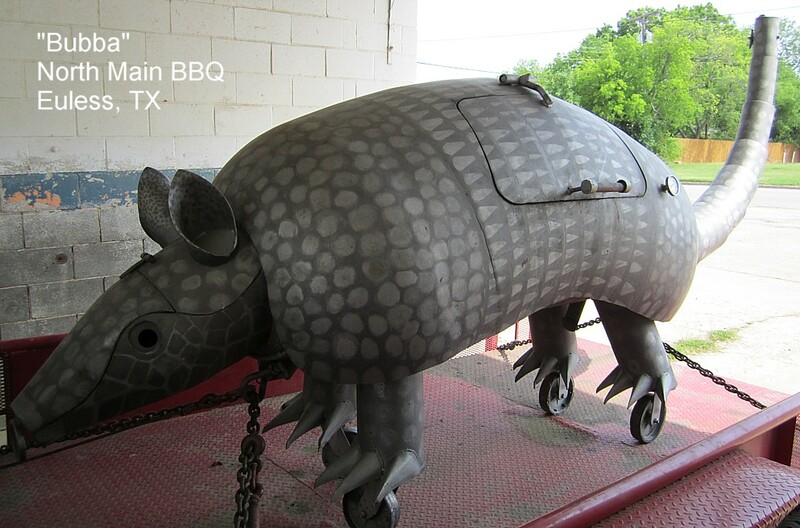 Now that's a sound you really don't expect to hear in a great BBQ joint. In fact I doubt most BBQ joints even have a grill. 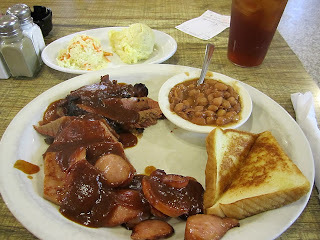 When my meal arrived everything had been doused in a liberal coating of average tomato BBQ sauce. Straight from the bottle, I would bet. The "sausage" was bland as a hot dog, the ham was just ham, and both were clearly warmed by the sizzling sound I had heard earlier. 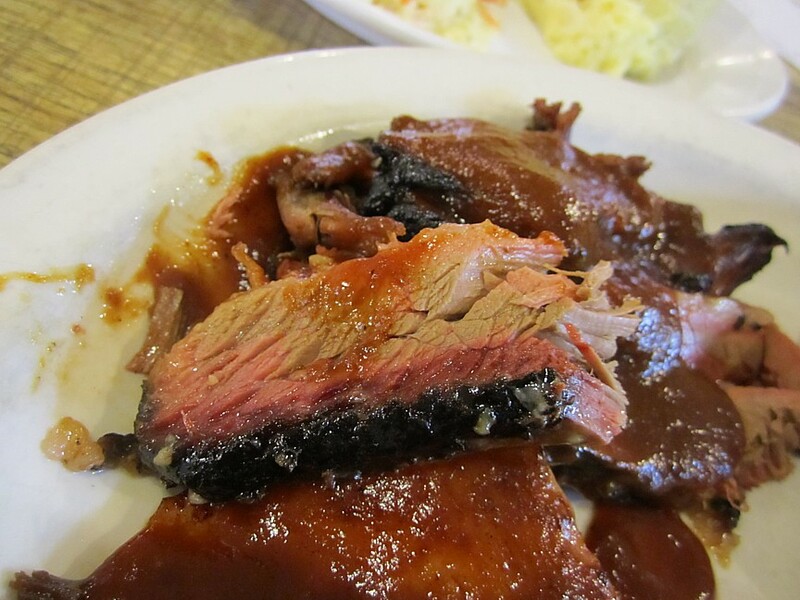 The brisket had potential. 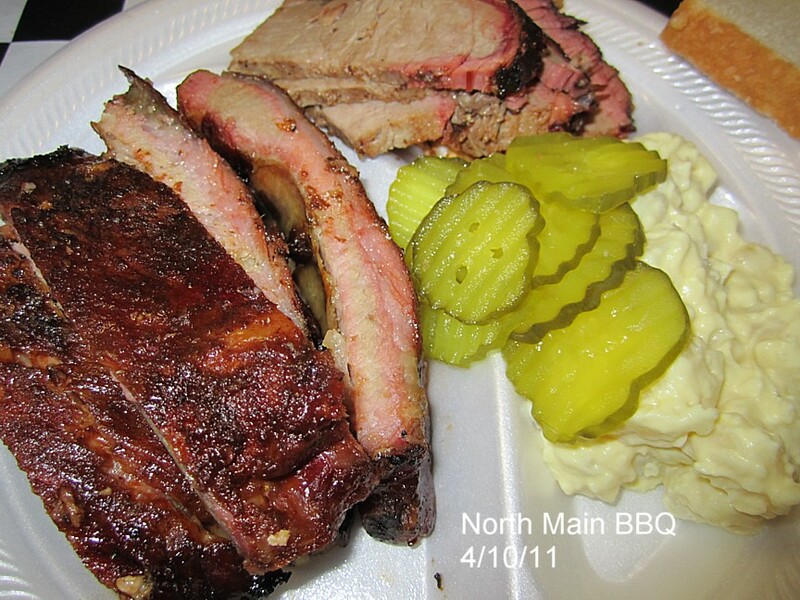 It was plenty tender and moist with lots of good bark and a nice smoke ring. However I was never able to detect any smoke flavor through the thick coating of sauce. The sides were average and went along with the rest of the meal. Even though I never got to try the ribs, I am betting there is better to be found down the road in Canton. Bubba looks like he has had a good scrubbing and a fresh coat of paint and is ready for the competition season. He still looks nekkid without his brass balls. 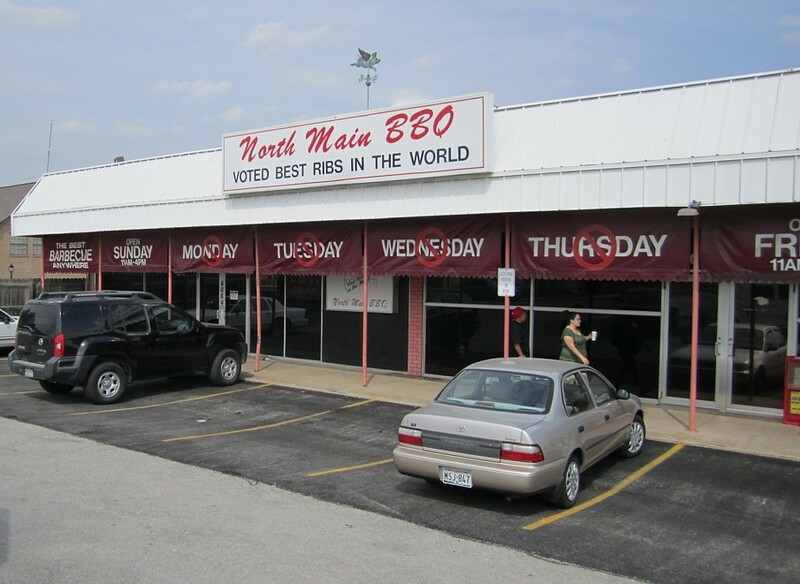 Since April Fool's day was over, I decided to break my meat fast with a trip to North Main BBQ in Euless. 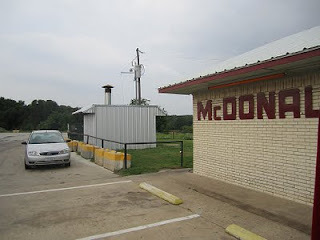 My favorite local joint and a mere 2 miles from my house. On arrival, I noticed a sign on the front door announcing a price increase as of April 1. I had hopes it was as serious as my post yesterday, but alas, they really have increased their prices. The all you can eat buffet is now up to $15 from the previous $12. Still a bargain considering what great meats they serve. The ribs this day were outstanding, as always, but their brisket and chicken were nothing short of spectacular. The chicken was incredibly moist and tender. As usual, I stuck with burnt ends on the brisket and had some awesome smokey meat, also moist and tender. 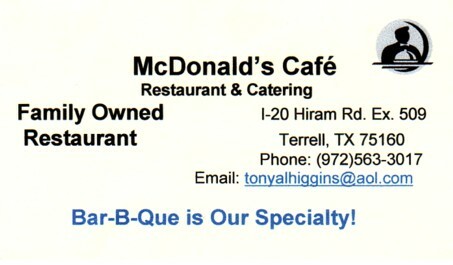 While I can remember back when the buffet was just $10, it is still an amazing bargain for great BBQ in North Texas.